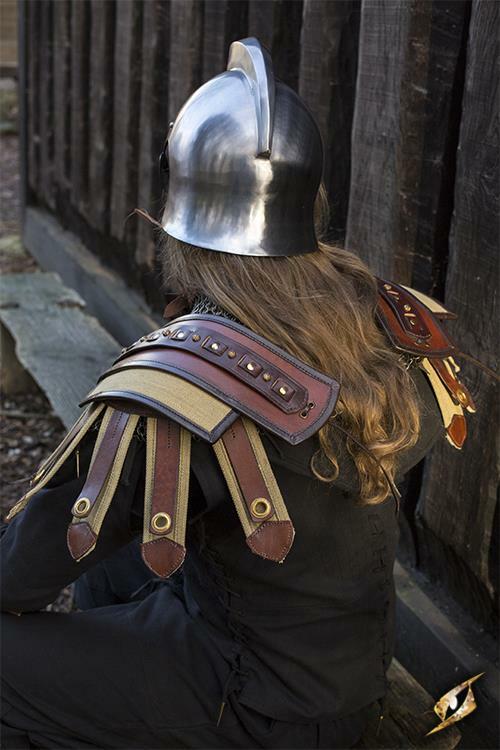 Product information "Roman Shoulder Armour"
The Roman Shoulder Armour - or manicula - is an armoured epaulette for deflecting blows away from the shoulder and head. It is made from deep brown, vegetable-tanned full-grain leather and heavy cotton. 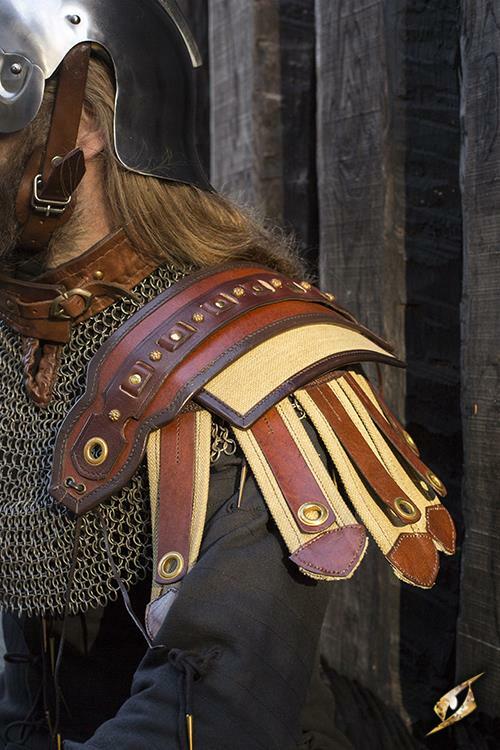 The piece consists of a heavy spauldron overlaying a smaller leather and canvas plate that protects the joint and upper arm. The manicula is reinforced with extra leather and stitches around the edges - preventing the leather from deforming with long use - and decorated with a braided strap adorned with brass studs. Along the outer rim, the manicula is decorated with slim leather straps overhanging longer straps of heavy canvas. 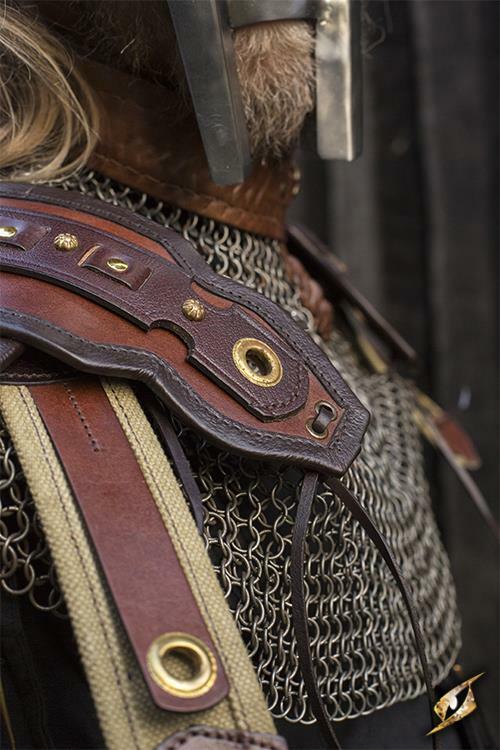 It is fitted onto existing armour with strong leather cords. 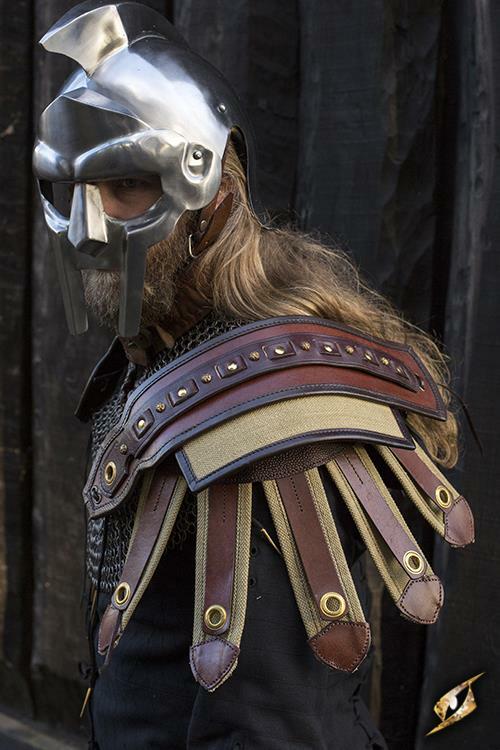 The Roman Shoulder Armour can be favourably paired with a darkened chainmail to achieve the lorica hamata of republican- and imperial line- and auxiliary infantry and most of the post-Constantine legions, but it will also make a fine stand-along armour that can be combined freely with other Epic Armoury leather and steel protections to create the exact costume you want. 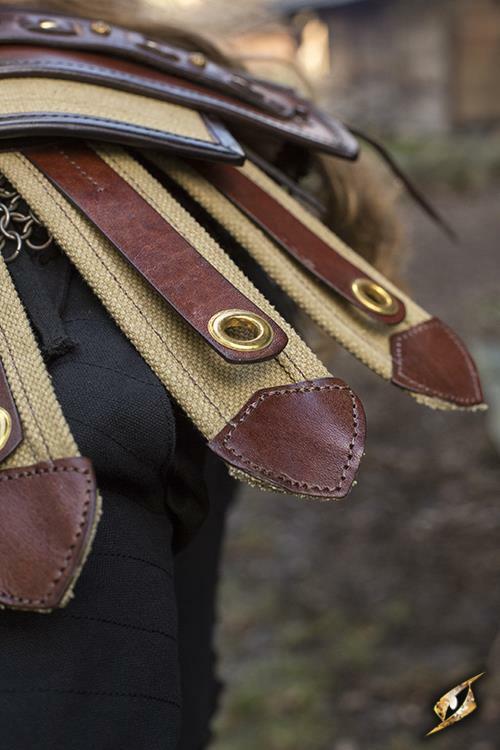 Related links to "Roman Shoulder Armour"
Customer evaluation for "Roman Shoulder Armour"